Social Media campaigning is all the rage as millions of users are online each day. Effective campaigning augments brand exposure and boosts market saturation. It also aids in turning your passive viewers into paying customers. 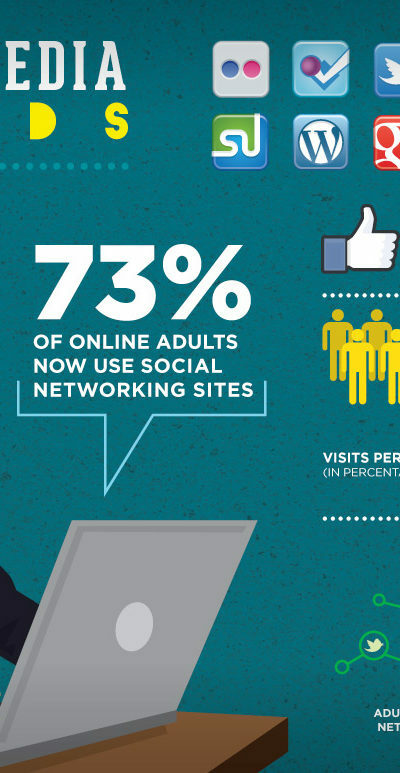 More than 96% of small business owners use social marketing. A business that markets via social media platforms witnesses a tremendous growth in their traffic. However, not every advertisement, promotional video or image garners the same rate of success. One advertisement may be successful for the promotion of your business while others may not reap the same benefits. So, it is important for the marketers to analyze what works best for them and what does not work for them. This can be achieved through A/B testing. A/B testing is real-time research and experiment that facilitates you to test small variations in the marketing materials in order to determine the most effectual campaign for your business that caters to your target audience. It is also known as split testing. To perform this, you’ll have to split your audiences into two groups and then test different versions of a marketing tool with each group. The responses of audiences help in determining the most effective version out of the two tested. It should be noted that you can only test with one variation at a time. If you’ll test two different variations, you won’t be able to find out which element was more successful. Following the latest trends will help you to get the kind of response you are expecting. You can dig into the existing knowledge and think about quirky ideas that will work best for you. You should never be afraid to challenge the assumptions. There are several variables that can be tested, like the right time of the day to post, length of ad, the location of the ad, language used, and much more. So, you’ll have to choose the right variables to test. Based on your research, you’ll have to create two variations of the same product. Take into consideration that only one element should be tested for two variations. The text is same in case of all the three versions but the testing is being carried out to find the best image for stellar marketing campaigns. Social marketers are scientists who carry out different experiments to find out the best combination of images, text, and videos for the promotion. Just as scientists should know why they are performing the research, marketers should have end goals. You should have a clear idea of what you are looking for in the end. The effectiveness of A/B testing can be tested only if you have defined metrics or end goals. For Example- You can test the impact of an ad in different locations to make your campaigning target to specific audiences. You can also test two Calls-to-actions to find the one that garners more users. The two different CTAs used in Facebook ads are ‘Install Now’ and ‘Use app’ for the World Surf League. The one that will bring more installs (not just visits) will be considered as the better of two. So the metrics declared here is not the number of clicks but the number of installs. A/B testing is vital for your marketing campaigns so you should perform it meticulously. You should develop appropriate strategies in order to minimize the errors. For instance, if you are testing different versions of the same element to find the one with better impact, then you should test both of them simultaneously. This would avoid any variations or errors that might crop up due to change in timings of testing. On the other hand, if you want to test the best time of the day for successful campaigning, then you’ll have to strategize to test the same element at different times in a day for several days. The results acquired at different times will then aid in reaching conclusions. Some tests are there that might need the use of a specific software. So before performing the test, it is better that you have the requisite software installed. For eg: You can easily test two different messages on social media without any software. However, you’ll require AI-powered software to perform multivariate testing. Similarly, different testing may require different software. This is the most important phase of A/B testing. Once you have decided the end goals, elements and variations to be tested, you’ll have to present it in front of your audiences. Divide your audience into two segments randomly. Now, show each variation of the same product to two different groups. The responses of the audience can then be compared to reach conclusions. After you have conducted the A/B testing, analyze the data and compare with metrics to find which version suits your desired results. You should also analyze the statistical significance of the test results. Analyzing the statistical significance properly aids in preventing us from making wrong decisions, and choosing the best variation. You can once again show the chosen variation to a wider range of audiences so that you can make further improvements. A/B testing of your social media campaign is essential as it saves your efforts, time and money. You can make proper decisions regarding the implementation of the marketing materials by going through the results of A/B testing. Anil Parmar is the co-founder of Glorywebs that aims to help clients with social media marketing and advertising services, web development, mobile apps & more. Apps and websites we develop have a common # 1 goal: Keep it as simple as possible for end users. Find him on Twitter @abparmar99 & say Hi!